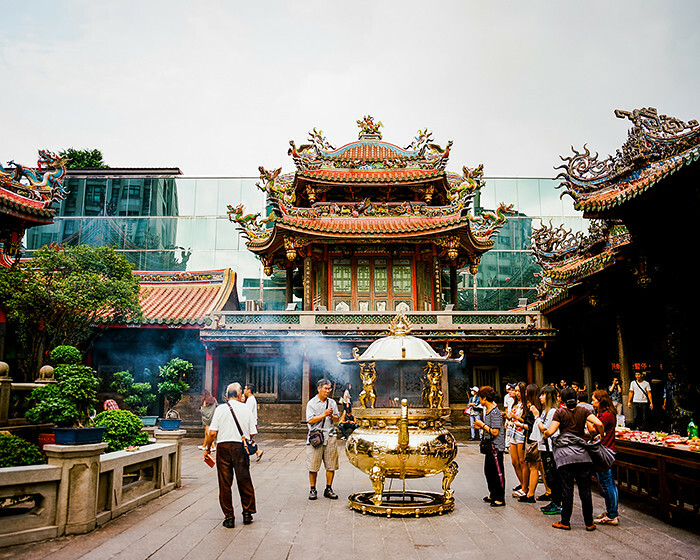 Of the three temples we visited in Taipei, Lungshan Temple of Manka (also spelled “Longshan”) was by far the most popular. Built in 1738, it’s been partially destroyed by earthquakes, fires and WWII American bombers over the years, but was always rebuilt and renovated. 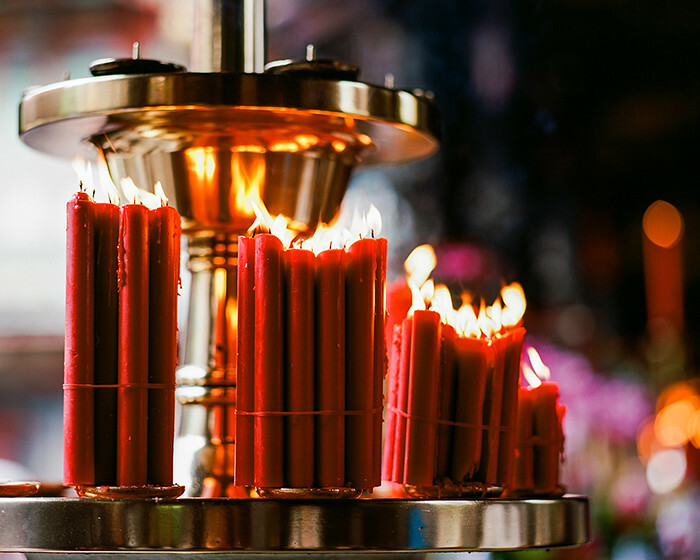 The temple is located in Wanhua District, a fairly historic part of the city, and is right across the street from its own MRT station, which I’m sure contributes to its popularity among locals and tourists. © 2016. 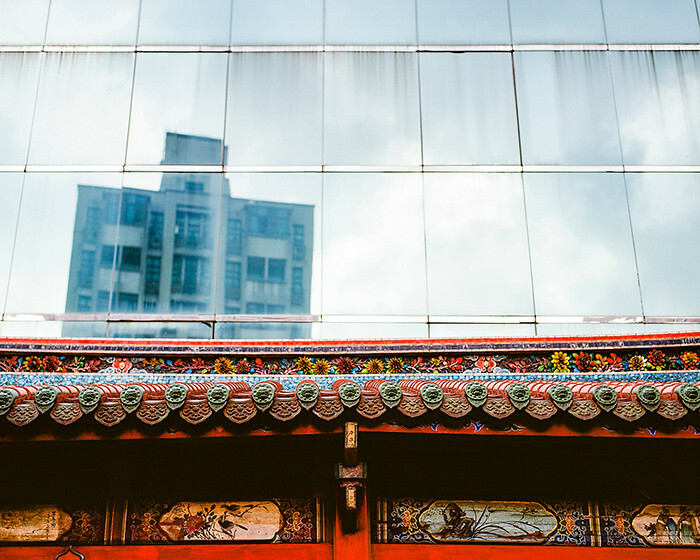 Lunghsan Temple of Manka, right up against a more modern glass-paneled building. Tuesday, Sept. 6, 2016. Ektar +2, Pentax 6×7. © 2016. 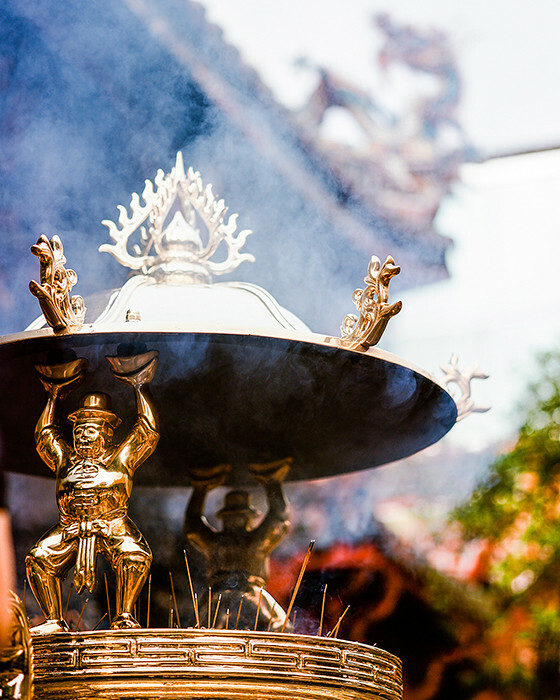 Lungshan Temple of Manka. Tuesday, Sept. 6, 2016. Ektar +2, Pentax 6×7. The other two temples we’d visited (Guandu and Huiji) are lesser-known and less-traveled, perhaps because they’re located so far from central Taipei and are a longer walk from MRT stations. I felt like I needed to tread carefully there, since we were the only obvious tourists at those temples. Lungshan Temple was the complete opposite. While there were many worshippers and faithful paying their respects, it seemed like their numbers were almost matched by Western tourists. We saw a few sultry photo shoots, as well as a guy operating a Steadicam-esque setup. 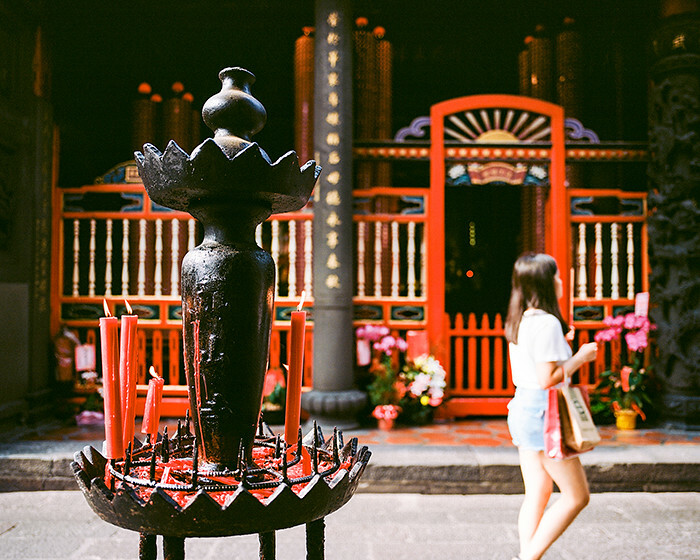 To top it off, we recently watched the season premiere of Fresh Off the Boat, in which the Huang family visited Taiwan for a wedding — and the bride was a model working a shoot at Lungshan Temple. I’m glad Lungshan wasn’t the only temple we visited, but that doesn’t take away from the experience of visiting it. © 2016. 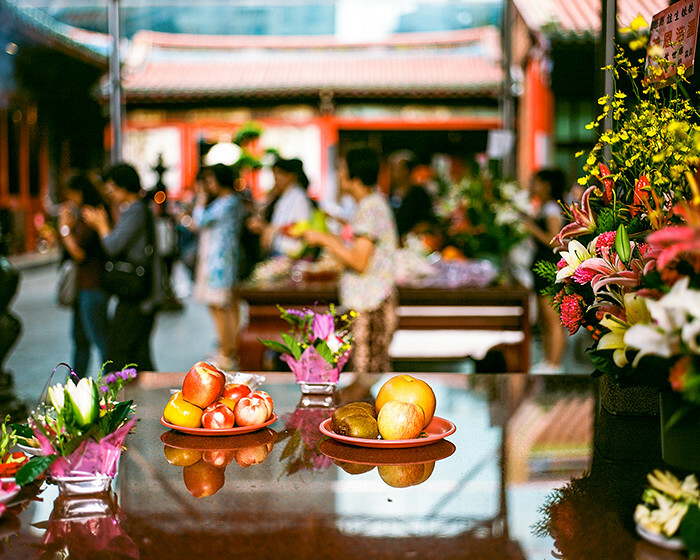 Fruit and flowers on the tables at Lungshan Temple of Manka. Tuesday, Sept. 6, 2016. Ektar +2, Pentax 6×7.